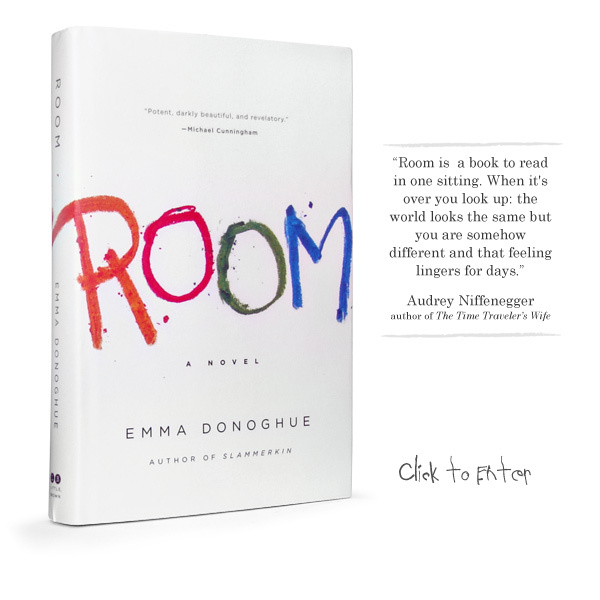 A few weeks ago I finished reading ROOM by Emma Donoghue. The author did an amazing job writing the entire book from the point of a view of the 5 year old character, Jack. For the first few pages I had a hard time getting into the book, however, once I got to the point where it becomes evident the boy and his mom are in captivity I couldn't put the book down; I longed to know how the story would end. I wasn't enthralled by the ending, I wanted just a big more... Nevertheless, it was a disturbingly good read. Let me know your thoughts if you've already read this book - or come back once you finish!